If you’re like us, travel is pretty high on your priority list, but it can often come at the expense of other things in your life. The extended period of saving required for travel can test your willpower. Everyone has their own vice, and we either live like hermits to avoid spending money on temptation, or start tapping away at our credit cards whilst singing the Hannah Montana classic, ‘best of both worlds’. As the saying goes ‘you can’t have your cake and eat it too’... right? Sure, saving for travel involves a solid dose of willpower, but it doesn’t mean completely putting your normal life on hold. There is more to life than holidays (shocking, we know), and it’s not healthy to scrimp through normal life waiting for your next overseas adventure. 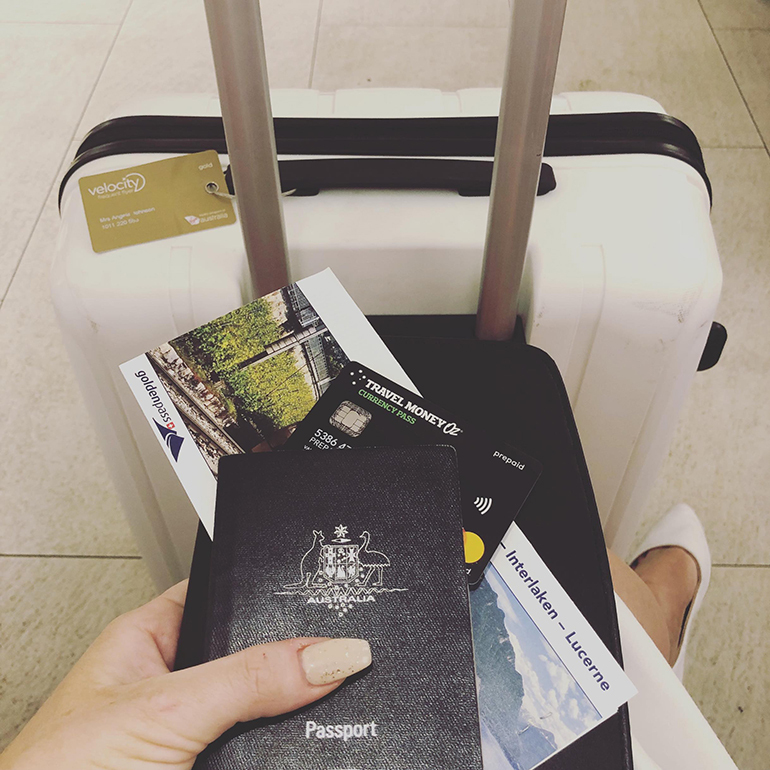 The team at Travel Money Oz like to think of themselves as more traveller than banker, and are living proof of the fact that life doesn’t stop when planning a holiday. We’ve compiled some tips from the team on how they save for travel without putting the breaks on the rest of their life. In other words, you can have your cake and eat it too… It just might be a cake mix from Aldi instead of one of those fancy dog shaped ones in your local patisserie. 1. I have a kitty. Unlike a cat, this is my cash allowance for the week. Once I run out, I can’t dip into my savings. 2. Move your savings into an account where you get a better interest rate if you don’t withdraw money. Not only is it an awesome reason not to touch your holiday funds, but the interest rate means you can actually earn a little bit more cash. 3. When you go out for drinks or dinner, only take cash. That way if you get a little tipsy your overly excited brain won’t spend more than necessary. Plus you’ll probably have less of a hangover which is always a bonus. 4. My husband and I kept all the change we got over 1.5 years while we were saving/ paying for our wedding. We ended up with nearly $1000, which covered our flights and most of the food for our honeymoon to Melbourne. 5. Cut your superficial expenses. Spending $3 on coffee every day equates to almost $1200 a year. That’s a return ticket to Europe! 6. Do some research and be open to destinations that are within your budget. Travel in off-season or shoulder-season to make your money stretch further, too. 7. Once you’ve decided on your holidays for the year, budget out the potential costs associated with your trip. Research, get excited and then commit to saving! 8. Break down your savings target into more reasonable goals. Is your holiday going to be about $4000? If you are booking six months in advance that’s about $667 per month or $167 per week. Smaller numbers are a lot less daunting, and they allow you to celebrate the small wins. 9. Bring your lunch and snacks to work. 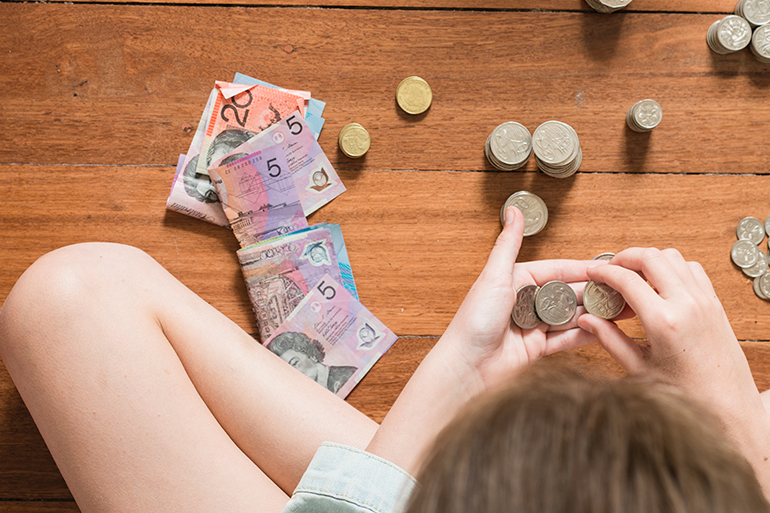 You will literally save over $10 a day by bringing leftovers from the night before, or pre-buying snacks in your weekly shop. 10. Exercise is free. Cancel that gym membership and go for a walk in the park. Most councils offer free exercise programs and park runs which you can easily take part in. 11. Gals, are you still going to get your nails done? Get creative and start doing them yourself. I stopped six months ago and have saved about $250 as a result. 12. Get a side hustle. Whether it’s driving an uber, walking dogs, washing cars or tutoring, a little bit of side income can go a long way when saving for a holiday. Odd jobs won’t eat into your free time too much either. 13. Make sure you transfer any extra money you get outside of your normal income straight to your savings. That way you won’t be tempted to spend it on anything outside your holiday. 14. When possible, ride your bike or walk to work or the shops. This will save you heaps in petrol, parking and public transport tickets. 15. Once you are paid, ensure you budget a set amount as a ‘splurge’. This gives you guilt-free money to spend each month on whatever you want and saves you from the temptation of dipping into your savings. That way you don’t feel like you’re missing out on anything. 16. Look at public holidays and take a few extra long weekends here and there. This helps break up the wait until you can afford your bigger holiday. 17. Shop smarter. I go to the markets to buy my fresh produce, get meat from the butcher and shop at Aldi for my small goods. The little extra effort goes a long way when it comes to saving some cash. 18. Stop hoarding! Do some spring cleaning and gather up any items that you haven’t used in a while/ ‘don’t bring your joy’. Selling them online or at a garage sale means extra cash towards your holiday. 19. 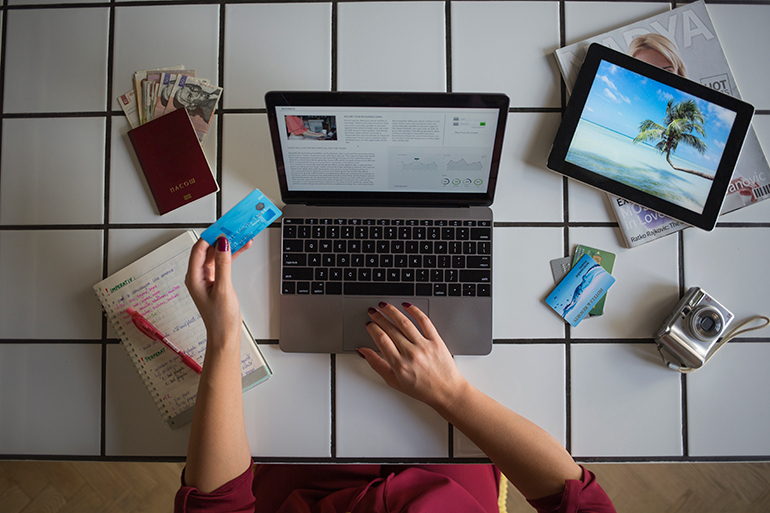 As soon as you get paid, transfer your allocated ‘travel savings’ into another account, or on to your Travel Money Oz Currency Pass. That way you don’t even consider it to be money you can spend that month. Out of sight, out of mind. 20. Delete your ‘saved card details’ from your internet browser. That way if you’re shopping online you physically have to get up and get your card to pay. Sounds stupid, but quite often stops me from purchasing. 21. If you want something (like new clothes or the latest gadget), don’t buy it straight away. Instead, wait a week or two. Quite often at the end of the two weeks you’ll realise that you don’t actually want it as much as you thought. 22. Book your holiday when it’s on sale at a travel expo. You can save yourself a fair bit on flights, insurance, tours and accommodation. So, there you have it. A fair few tried and tested methods to help you incorporate saving for travel into everyday life (rather than replacing your life all-together). Not to be outshone by the team, Travel Money Oz itself is here to ensure you are getting the most bang for your foreign currency buck. Our stores offer a Best Price Guarantee to ensure you’re getting the best rate of the day*. You can also add Rate Guard to your transactions in-store. It’s free, and if the exchange rate improves within 14 days of purchase we will refund you the difference*. After more tips? Visit any of our 165+ stores across Australia and New Zealand and our experts will be happy to assist. Terms and conditions apply to Best Price Guarantee and Rate Guard. See travelmoneyoz.com for more details.